Are your meals too boring without a crunch? Then here’s your perfect dish! Clean prawns, devein but leave the shells on. Season with salt. Mix flour with milk powder. 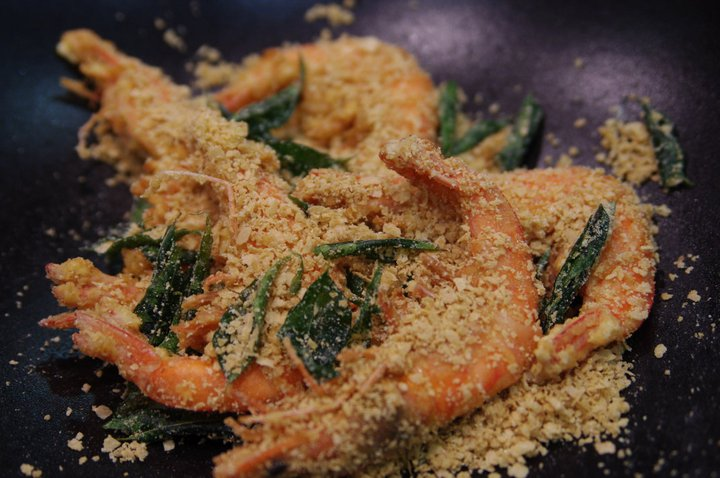 Coat prawns with mixture of flour and milk powder. Deep fry prawns in hot oil till cooked and set aside. In a wok, melt the butter and add in curry leaves and chill paid, fry till fragrant. Add in cereal and stir fry over low heat till brown and crispy and add in sugar and salt. Add in the prawns and stir fry a little longer.